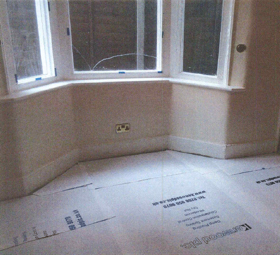 Following our clients intention to purchase a property in Newham, Kenwood were called to assess the damp problem. 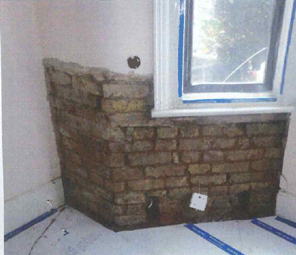 We found rising damp to be affecting walls within the front reception room and dining room. As soon as the sale went through our client instructed the works to commence so they could be completed prior to moving in. The wall plaster was removed to a height of 1 metre to reveal the brickwork below. The mortar course was then injected with a chemical damp proof course. The treated walls were then re-rendered and skim finished. Now that our client has moved in, the walls will be left for 4 weeks to allow initial drying out, following this they can be redecorated along with the rest of their new family home.